Fortunately, a lot has changed in terms of mesothelioma survival and life expectancy in the last decade. Years ago, a diagnosis of mesothelioma was considered a virtual death sentence. Patients typically discovered that they had mesothelioma when the disease was already in its advanced stages and treatment options were scarce or nonexistent. Most patients had little hope of extended survival rates or meaningful quality of life after diagnosis. Today, many mesothelioma patients have much better odds of living a longer life expectancy and quality of life due in large part to new and innovative therapies and procedures for various types of mesothelioma. With longer mesothelioma survival, there is now hope that one day a cure will be found for mesothelioma. For those that may need some background information about mesothelioma, we provide the following basic facts. Mesothelioma is a relatively rare form of cancer that originates in the cells in the linings of particular areas of the body, most commonly the chest or abdomen. Tumors can develop in the pleura, or the lungs and space in the chest, which accounts for approximately 70% of mesothelioma cases. Tumors can also originate in the peritoneum, which lines the abdomen and organs in the abdominal area, and the pericardium, which affects the heart and the space in the chest near the heart. Only about 3,000 new cases of mesothelioma are diagnosed each year in the United States, but it is an aggressive form of cancer and the prognosis for patients has historically been poor. Any individual who has been exposed to asbestos is at risk of developing mesothelioma, but symptoms typically do not begin until many years after exposure. Cutting-edge therapeutic interventions at some of the world’s foremost cancer treatment centers provide hope to many mesothelioma patients despite the fact that there is still no known cure for the disease. Multimodal approaches combining surgery, chemotherapy and radiation therapy for patients with pleural mesothelioma offer an aggressive treatment plan for certain individuals. Several surgeons have been at the forefront of novel surgical options for mesothelioma treatment. These include Dr. David Sugarbaker, M.D., at the Baylor College of Medicine, who developed a breakthrough surgical technique known as extrapleural pneumonectomy ( known as “EPP”), which removes the lungs, organ linings and other areas affected by pleural mesothelioma. Another surgery commonly performed for pleural mesothelioma is known as “pleurectomy” or “decortication”, which preserves the lung and instead removes the pleural tumor that has formed around the lung. In the treatment of peritoneal malignancies, Dr. Edward Levine, M.D., at Wake Forest Baptist Medical Center has pioneered a two-step treatment plan that involves cytoreductive surgery in conjunction with a perfusion technique known as Hyperthermic Intraperitoneal Chemotherapy (known as “HIPEC”). In cases where traditional treatment methods are not suitable, many patients can benefit from clinical trials that offer experimental therapies. Clinical trials for patients with pleural mesothelioma include alternative treatments such as immunotherapy, photodynamic therapy and gene therapies. Clinical trials can lead to marginal improvements in a patient’s health status or indicate that the treatment is not performing as expected and should be modified. Despite these advances, survival rates for mesothelioma continue to be lower than for many other cancers. Several factors affect a patient’s survival rate including age, gender, race, location of the tumor and stage of the disease. Survival rates are used to describe the prognosis for a patient with a particular type and stage of cancer; they refer to the percentage of people who live a certain number of years after being diagnosed with cancer. Generally, survival rates for mesothelioma are highest among those who are diagnosed the earliest. According to the American Cancer Society, the survival rates between 2000 and 2013 for those diagnosed with malignant pleural mesothelioma, the most common form of mesothelioma, are as follows: Stage IA cancers (the earliest phase) had a 2-year survival rate of about 46% and a 5-year survival rate of about 16%. For stage IIIA cancer, the 2-year survival rate was about 30% and the 5-year survival was about 8%. Finally, those with the most aggressive form of mesothelioma, stage IV, had a 2-year survival rate of about 17% and a 5-year survival of less than 1%. However, general survival rates don’t tell the full story. A study by the National Institutes of Health (NIH) analyzed mesothelioma survival rates in a large sample of subjects categorized by the location of the tumor and the type of asbestos exposure reported by the patient. 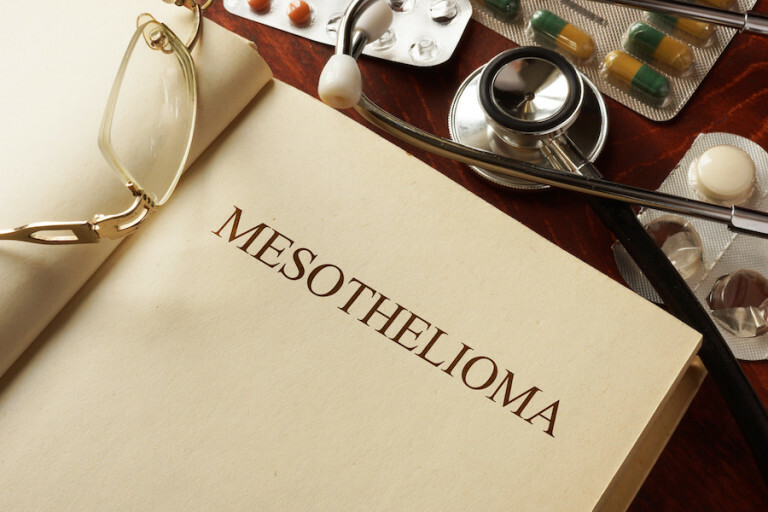 Data taken from 380 mesothelioma patients between 1992 and 2012 shows significant improvement for some types of mesothelioma and more moderate improvement in survival rates for other types of mesothelioma. Peritoneal vs. pleural mesothelioma. The study concluded that survival rates for peritoneal mesothelioma were substantially higher than survival rates for pleural mesothelioma. The improved prognosis for peritoneal mesothelioma in the past few years may be partially attributed to the use of novel therapies, particularly cytoreductive surgery combined with HIPEC. The median survival for peritoneal mesothelioma patients who received this combination treatment was between 34 and 92 months, according to reports. More current literature increases this range to 53 to 92 months, indicating that survival values continue to improve. The fact that peritoneal mesothelioma patients receiving the HIPEC treatment are now living, on average, between 4.5 years to almost 8 years is truly a remarkable improvement and provides hope that one day mesothelioma can be cured. In contrast, the median survival for pleural mesothelioma was between 9 and 17 months in a 2009 study. More recent data does not indicate improved survival rates in this category. A review of 238 pleural and peritoneal mesothelioma patients, with the majority of patients diagnosed with plural mesothelioma, indicates that survival outside of therapy was 8.8 months. This figure increased to 11.3 months in subjects that received therapeutic intervention. It is always important to keep in mind that each mesothelioma patient is different and should not view themselves as “a statistic” or “number”. It is important for mesothelioma patients to be hopeful as they battle the disease. There are many mesothelioma patients that have survived for many years past the time statistical data predicted they would survive. The effect of asbestos exposure. Exposure to asbestos has been found in over 80% of mesothelioma patients. In the remaining mesothelioma cases, it is likely that there were asbestos exposures (including to talcum powder products) into which researchers likely did not inquire because of the lack of publicly available information about the presence of asbestos in many products. Some reports have suggested that that individuals with the highest level of exposure appear to develop peritoneal mesothelioma more often than other types of mesothelioma. However, there is a consensus among the medical community that low-levels of asbestos exposure cause both pleural and peritoneal mesothelioma. In fact, recent studies have found that patients who were exposed to asbestos in a non-occupational setting had a higher chance of developing peritoneal than pleural mesothelioma. Contact with asbestos was studied in both an occupational and non-occupational context (second-hand exposure) in the NIH study to determine whether the type of exposure affected survival rates. Peritoneal mesothelioma patients have been found to live longer than other mesothelioma patients. Those who contracted mesothelioma in an occupational setting had a median survival of 19.71 months while those exposed in a non-occupational setting had a median survival of 53.74 months. Non-occupational cases of asbestos exposure typically occur at a younger age, are diagnosed earlier, and have a shorter period of dormancy. Some of these factors may contribute to the improved survival rates in cases of non-occupational asbestos exposure. However, it is not possible to determine whether the nature and type of asbestos exposure a person will influence the survival of a particular person with mesothelioma. Mesothelioma survival rates are improving incrementally over time. Many factors, such as the type of mesothelioma, the history of exposure, and the time of diagnosis are critical in a patient’s prognosis. New and innovative forms of treatment continue to offer hope for extending survival for those affected by mesothelioma. With mesothelioma research finding additional breakthroughs in the science underlying the disease and its treatment, we can hopefully look forward to a cure being found for all patients diagnosed with mesothelioma. MesoLawyersCare is proud to be supporting the search for better treatments and a cure for mesothelioma by giving back a portion of all attorney’s fees earned in cases in which patients and families contact through this organization. If you or a member of your family has been diagnosed with mesothelioma, MesoLawyersCare can help you receive compensation for your injuries. MesoLawyersCare is comprised of top asbestos litigation firms with offices located throughout the country. MesoLawyersCare has a proven track-record of verdicts and settlements for clients nationwide and is dedicated to assisting patients and families. Please call us at 1-888-568-1177 or contact us by completing the form on this site.